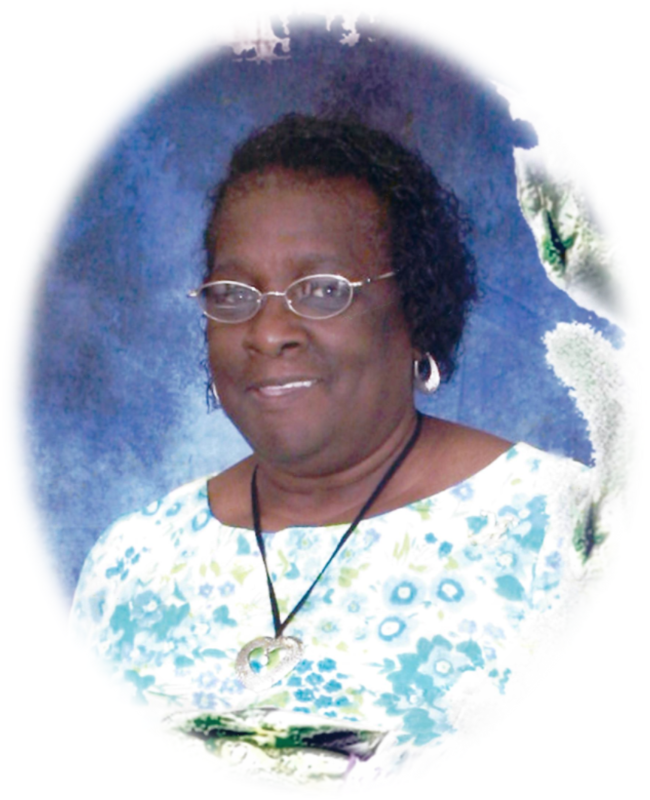 Funeral services for Mrs. Retha Mae Daniel Bridges of Oak Ave. Americus, Georgia will be held on Wednesday, April 4, 2018 at 11:00 A.M. at the Eighth United Holiness Church on Bailey Street in Leslie, GA with Pastor Robert Bennett officiating. Burial will follow at the Eastview Cemetery. Mrs. Retha Mae Daniel Bridges was born on March 20, 1952 in Americus, Georgia to the late Willie Roy Daniel and the late Ella Rosa Jackson Daniel. She was educated in the Sumter County Schools. Mrs. Retha Bridges passed away on March 29, 2018 at her home. She was preceded in death by her parents Willie Roy Daniel and Ella Rosa Jackson Daniel, a brother Charlie Daniel, her Uncles David Jackson, Todd Jackson and Charlie Jackson, aunt Josephine Warren Jackson, her mother-in-law Retha Mae Harris Bridges, father-in-law Gordy Bridges Sr. and a brother-in-law Gordy Bridges Jr.
She leaves behind her husband Joe Bridges Sr. of Americus, GA; two daughters: Sharon Daniel and Doretha (Crawford) Pride of Americus, GA; one son, Joe Bridges Jr. (friend LaToya Johnson) of Americus, GA; two granddaughters: Janaita Pride and Jamecia Pride of Americus, GA; three grandsons: Derrien Daniel, Darrius Daniel and Crawford Pride, Jr. of Americus, GA; six sisters: Paula Dodson of Albany, GA, Mary Grant, Ella Daniel, Mary Leverette, Rosetta (Randy) Lusane and Ira Lee Daniel of Americus, GA; one brother, Connie (Katrina) Leverette of Americus, GA; three sisters-in-law: Ozzie (Robert) Baker of Preston, GA, Leola Furlow and Thessolonia Sanford of Americus, GA; two brothers-in-law: James (Viola) Bridges and Sammie (Alice Faye) Bridges; a host of nieces, nephews and other relatives also survive including devoted friends: Connie Johnson, Elizabeth Banks, Susan Munson and Leon Banks all of Americus, GA.
A Graveside service for Ms. Fannie Mae Haugabook will be held on Tuesday, March 20, 2018 at 1:00 P.M. at the New Hope Baptist Church Cemetery. Fannie Mae Haugabook, daughter of the late Robert Haugabook and Mina Mae Tookes Haugabook, was born February 13, 1957. Fannie grew up in Montezuma, Georgia and attended Macon County Training School. She also attended Quality Enterprises, Inc., in Montezuma, Georgia. Fannie was a member of New Hope Baptist Church. She also attended the Montezuma Church of Christ and New Phillip Primitive Baptist Church. Fannie was a fun-loving and gentle soul; her bubbly personality will be missed by those who knew and loved her so well. 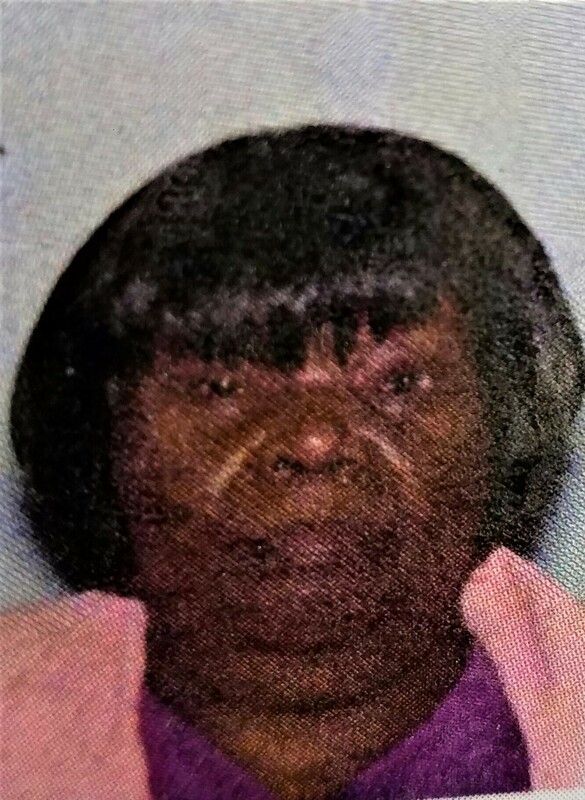 Fannie passed away on Sunday, March 18, 2018 at Phoebe-Sumter Hospital in Americus, Georgia. She was preceded in death by her sister, Barbara Haugabook Fulks. Cherished memories are left with her loving and devoted sister, Mariah “Tick” Yisrael, Warner Robins, Georgia; nephews and niece: Harry Wilson, Oglethorpe, Georgia, Cornelius Haugabook, Columbus, Georgia and Demetria Haugabook, and Robcorneil Bediako (Jarmesha Smith), both of Atlanta, Georgia; great-nieces and nephews, Harry Wilson, Jr., Calandra Wilson, both of Oglethorpe, Georgia, Krista Haugabook, Columbus, Georgia, Ishmael Haugabook, Zyneva Haugabook, and Madison Bediako, all of Atlanta, Georgia; her loving cousins, Gerald West, Perry, Georgia, Yolanda (Jerome) Kendrick, Oglethorpe, Georgia, Tonya (Quentin) Garnes, Montezuma, Georgia, Betty (Dennis) Patrick, Belle Glade, Florida, Henrietta Fraser, Orlando, Florida, Tommy Lee Walker, Port St. Lucie, Florida, Terri Kaigler, Frances Williams, Tony Kaigler and Mark Kaigler, all of St. Petersburg, Florida; a host of other loving relatives and friends. Mr. Eugene Smith affectionately known as “Gene” passed away on Saturday, March 17, 2018 in Rochester, NY. 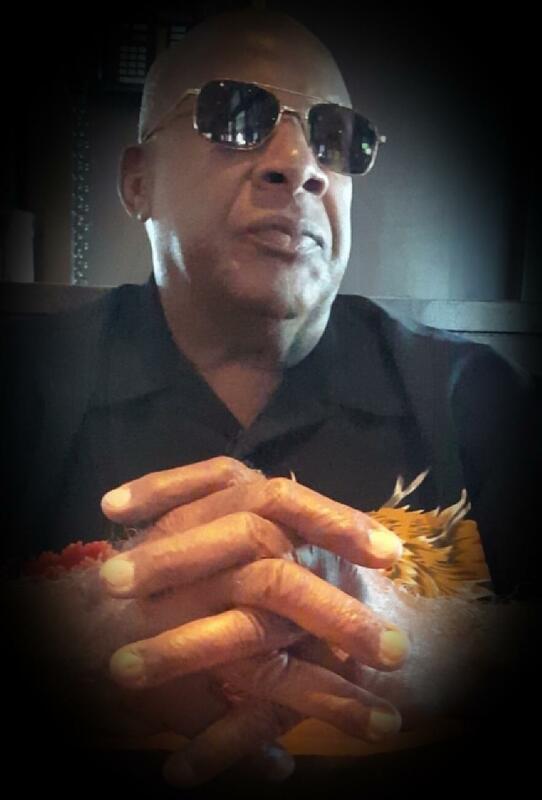 Funeral services will be held on Monday, March 26, 2019 at 11:00 at Friendship Baptist Church on Cotton Ave. in Americus, Georgia. Burial will follow at Eastview Cemetery. Gene was the brother of Mrs. Margaret Smith Mathis, Ms. Lillie Ruth Smith and Ms. Selma Smith. Funeral service for Mrs. Reatha B. Breedlove-Mable of Americus, GA will be held on Saturday, March 17, 2018 at 2:00 P.M. at Big Bethel Baptist Church in Americus, GA with Pastor Calvin Rollins officiating. Burial will follow at the Eastview Cemetery. Mrs. Reatha B. Breedlove-Mable was born in Sumter County, Georgia on August 15, 1960 to the parentage of Mr. Johnny Edward Breedlove and Mrs. Susie Mae Foster Breedlove. In addition to her parents, she had a devoted step-father, Mr. Oscar Jones. Reatha was educated in the Sumter County School system. She was a devoted daughter, loving mother and sister. Her first place of employment was at Home Depot then at Medicon Medical Services for eight years. Later she worked at Caravelle Boats for three years. She joined Blooming Rose Baptist Church of Americus, Georgia under the leadership of Reverend H.L. Respert. Reatha Breedlove-Mable departed this life on Sunday, March 11, 2018. She was preceded in death by her parents, her brothers: Willie Breedlove and Ellis Breedlove. Those she leaves behind to grow from her love include her devoted husband, Eddie Dean Mable, Sr. of Americus, Georgia; two sons: Travis Breedlove (devoted daughter-in-law, Lawanda Thomas) and Eddie Mable (devoted daughter-in-law, Kizzy) all of Americus, Georgia; an additional devoted son, Derrick “Boone” Clark of Americus, Georgia; one daughter, Natasha Sherrice Mable (Jamie) of Americus, Georgia; one brother, Lewis Breedlove ( devoted sister-in-law, Susie); one sister, Minnie Ruth McDonald (Rogers); devoted step-brother, Johnny “Coot” Willis all of Americus, Georgia; ten grandchildren: Quarteisha (Montavious) Bridges, Anisha Mable, Amarion Wallace, Tintalana Mable, Desoshianna Carter, Rodney Carter, Travion Breedlove, Tre’Vion Sims, Shanneshia Reynolds and Khalil Reynolds; four great grandchildren: Jaiden Bridges, Aurielle Bridges, Kait’Lynn Mitchell and Ke’Ziah Reynolds; great aunt, Eula Breedlove; a host of nieces, nephews and cousins including some of her favorites: Keshia (Sandreal Jackson) Mable, Crystal (Joshua) Coleman, Lashon Hoston, Carlton Mable, Mercedes Mable, Lucious Breedlove and Darius “Big Dog” Carter; devoted friends that she loved dearly: Natashi Thomas and Joe “Ellick” Jackson; a host of other loving relatives and friends also survive. Graveside services for infant Hailey Nicole Gorman were held on Saturday, March 24, 2018 at 2:00 P.M. at the Lebanon Cemetery with Rev. Shirley Strawter officiating. On March 10, 2018 God saw infant Hailey Nicole Gorman, struggling for life and decided to remove all of her pain and take her Home to rest. She was preceded in death by her great grand-father Governor Wilson. She leaves to mourn her passing her parents: Mercedees Merritt and Jaquie Gorman; her grandparents: Carolyn Wilson, John Merritt, Sr., Ruby Golden and Ernest Golden; great grandparents: Lena Wilson and Sarah Gorman; one aunt, Jasmine Merritt and one uncle, John Wayne Merritt, Jr. Several other relatives and friends also survive. 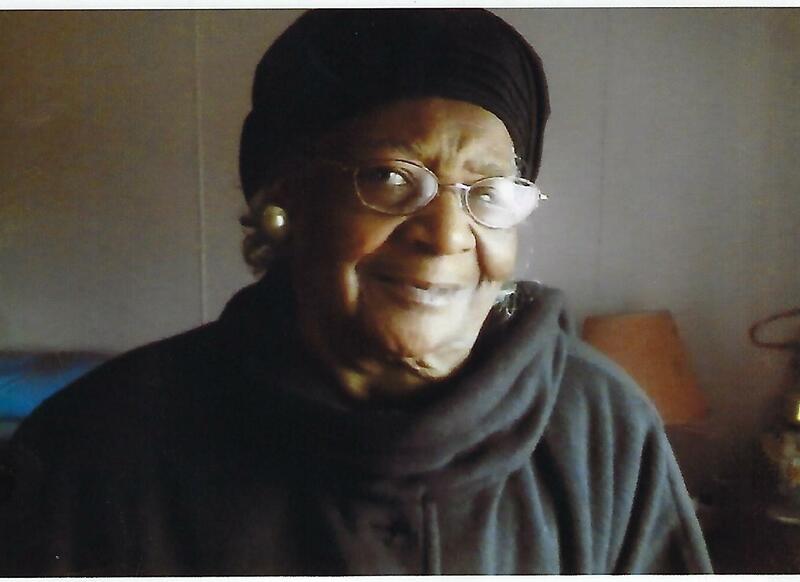 Graveside services for Ms. Lucy Mae Neal of Montezuma, Georgia will be held at 10:00 a.m. Thursday, March 15, 2018 at Champ Waters Cemetery, Twin Churches Road, Montezuma, Georgia with Reverend Hosie Waters officiating. Ms. Lucy Mae Neal, daughter of the late Johnnie Neal and Fannie Mae Thomas Neal, was born June 10, 1936 in Montezuma, Georgia. She attended Macon County Training School and was a faithful employee of McKenzie Southern Frozen Foods for over forty years. Lucy was beloved by her family, friends and community. She passed away on Thursday, March 8, 2018. She was preceded in death by her son, Wendell F. Neal and five siblings: Willie Glenn Neal, John L. Neal, Fannie Jones, Patricia Harvey and Jessica Neal. Cherished memories are left with her loving and devoted brother, Tom Neal of Horsham, PA; a host of loving nieces, nephews, great nieces, great nephews, her grandchildren, other loving relatives and friends. Funeral services for Mrs. Gwendolyn Haslam of Marshallville, Georgia will be held on Friday, March 9, 2018 at 11:00 a.m. at New Hope Baptist Church, 8620 GA Hwy 26E, Montezuma, Georgia. Interment will follow in the New Hope Cemetery. Mrs. Gwendolyn Lee Ball Haslam, daughter of the late Rev. Frank L. Ball and the late Mrs. Aneva Smith Ball, was born December 1, 1941 in Macon County, Georgia. She grew up in Marshallville, Georgia and attended the public schools of the county. Gwendolyn was a graduate of D.F. Douglass High School. Music was her passion. She enjoyed listening to music and skillfully playing the piano. She furthered her education by pursuing a degree in Music at Fort Valley State College. Having been reared in a Christian home, Gwendolyn loved the Lord. She accepted Jesus Christ as her personal savior at an early age and joined New Hope Baptist Church. In 1960, Gwendolyn and Otis Haslam were united in holy matrimony, and to this union two children were born. Gwendolyn was a homemaker and took pride in her chosen occupation as housekeeper. Mrs. Gwendolyn Haslam departed this life on March 5, 2018. She was preceded in death by her parents, Rev. Frank L. Ball and Mrs. Aneva Smith Ball, her brother Fredrick James Ball, son Alphonso Haslam, Sr. and grandson Terrell Haslam. 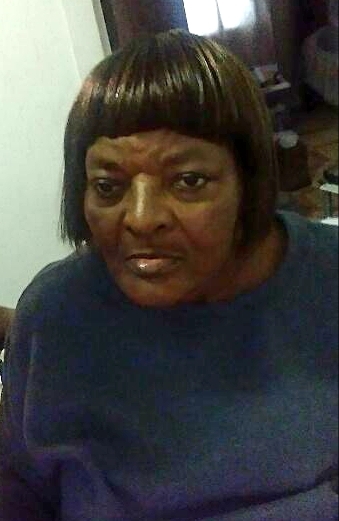 Precious memories will forever remain with her loving family which includes her husband, Otis Haslam of Fort Valley, Georgia, her son, Renwick Wayne Haslam of Marshallville, Georgia; three grandchildren: Kimberly Davis of Oglethorpe, Georgia, Corey Mathis of Niagara Falls, New York and Alphonso Haslam, Jr. of Jonesboro, Georgia; sister-in-law, Virginia Ball of Atlanta, Georgia; several great grandchildren, a host of cousins, nieces, nephews, other loving relatives and friends. Mrs. Annie Rose Hall Bridges of East Rock Hills Drive Americus, Georgia passed on Saturday March 3, 2018 at her residence. Her funeral service will be held on Thursday, March 8, 2018 at 2:00 P.M. at Greater New Lebanon Baptist Church in Plains, Georgia. Mrs. Annie Rose Hall Bridges was born March 19, 1929 in Dumas, Georgia to the late of John and Ozella Hall. She worked for several years as a Custodian at Georgia Southwestern College. Ms. Hall was united in marriage to Emmett Bridges Jr. and to this union nine children were born, two preceded her in death: Moses Bridges and John Bridges. 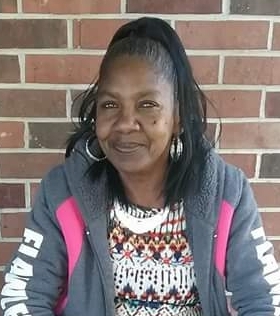 She was also preceded in death by two grandchildren: Carlos Burns and Bernard Bridges and four great grandchildren: Kelvin Walton, Jr., Brian Bridges, Terry Davis, III and Kaion Hamilton, II. She leaves to cherish her memories her three daughters: Joann (Robert) Mack and Irene (Lawrence) Britt, Americus, Georgia and Barbara Bridges, Columbus, Georgia; four sons: James Edward (Carla) Bridges Edison, Georgia, Joe Bridges, Americus, Georgia, Raymond (Debra) Bridges, Americus, Georgia and Emory Wayne (Betty) Bridges Americus, Georgia; thirty grandchildren, seventy great grandchildren and fifteen great, great grandchildren. Several other relatives and friends also survive.